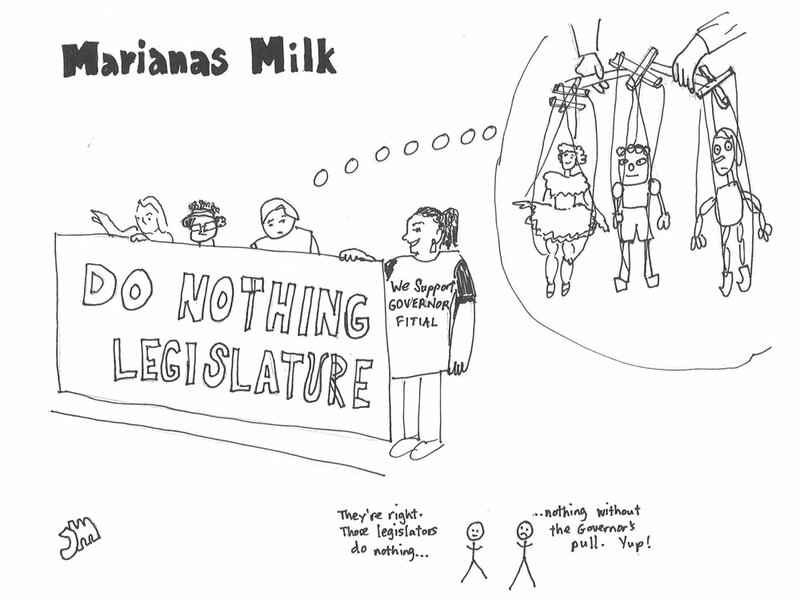 I created this cartoon based after the competing rallies--this one from the support Fitial party. How ironic that they had this big sign complaining of the "do nothing Legislature" when most of the House are completely devoted to doing whatever Governor Fitial wants. They are his puppets, and of course they do nothing but what he wants. 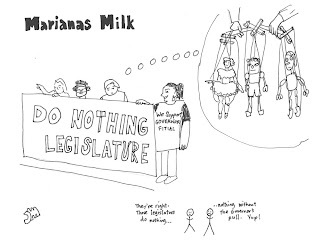 When I first made this cartoon, I labeled the puppets--T. Santos, Basa, and Fred DLG--all illustrious members of the House who seem to be among the Governor's puppets. Jane: Understand another protest is being planned for 10/21. I will be there. Right--10 to 12 noon, I think. See you there.